Green building is different than conventional building in that ideas are shared to further the ideas of sustainable, low (or no) energy use. It doesn’t have to be expensive to be better than almost anything else being built. 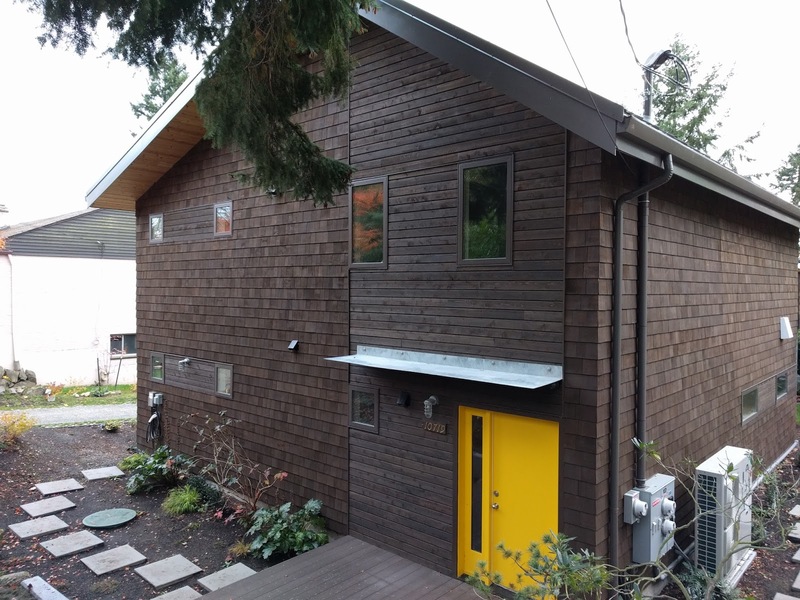 The Ballard Zero Energy House was built for under $124 square foot ($114 with rebates and incentives) and ours was built for nearly the same price (excluding builder costs). Our house wasn’t possible without the Ballard house and their house was thanks to Ted Clifton Sr and Ted Clifton Jr. 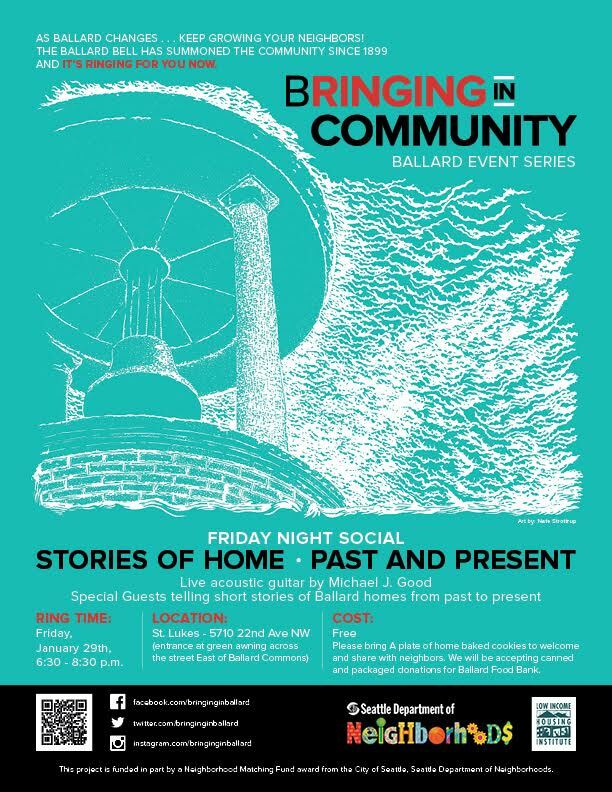 In order to continue the process we are both speaking at the Sustainable Ballard Bringing in Community Series this Friday at 6:30. Please Join us! The solar panels on our project are what allow us to be Net Zero. Solar panels are compact and easily scale-able. You can put one panel or 36 like us or even more. As you reduce your energy use you can reduce the number of panels you need. The New York Times has an excellent Op-Ed piece on why solar makes sense here. It’s a great argument for continued government support of solar panels and the solar industry. PS If you’re from the Netherlands post a comment and let me know how you came to our site, thanks! For those of you who have been in Seattle the last week you might already know that Monday was the darkest day in NINE years. We have installed a Solar Energy monitor by Neurio. It works great and gives real time and historical solar production rates. When you rely on the sun’s rays for your energy you take notice when the sun isn’t out! According to the University of Washington (and our eyes) this Monday we could barely tell that the sun was out. We only produced .98 kWh compared to some 65 kWh days in summer! Update: Wednesday was a net zero day! We produced as much as we used thanks to warmer weather and some sunshine. “Hello… and congratulations as you are one of our PSCCU Empowers Me member winners! I would consider last night a great success. 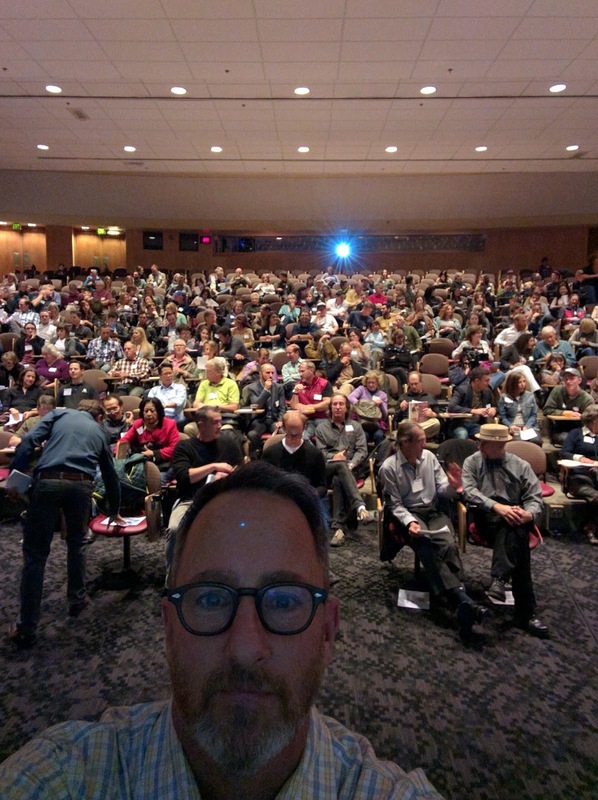 I didn’t freeze up on the stage and really got a lot of fantastic compliments from the audience. A few people even had tears in their eyes. I was told how funny I was (which I’m typically not). 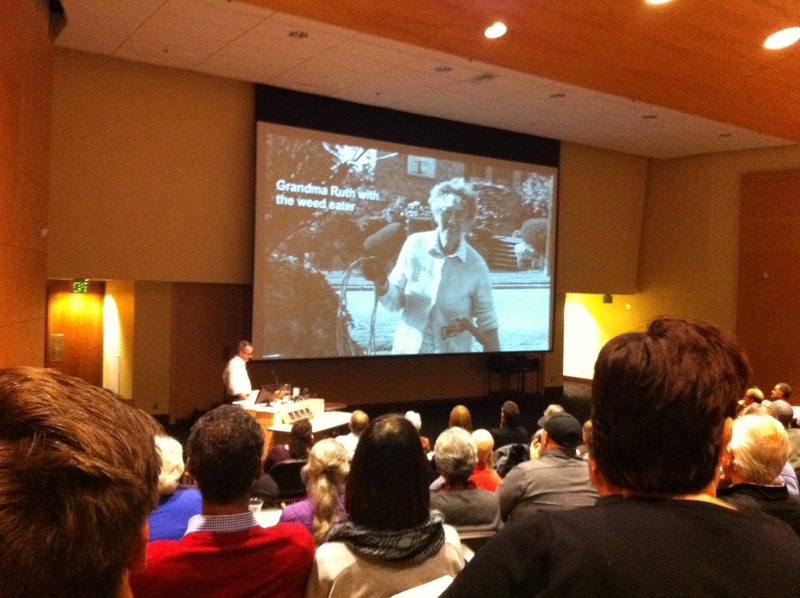 Telling my story of building this house really capped off how great building this house was. It didn’t start out that way but each little thing added up into something that was much greater than the sum of it’s parts. 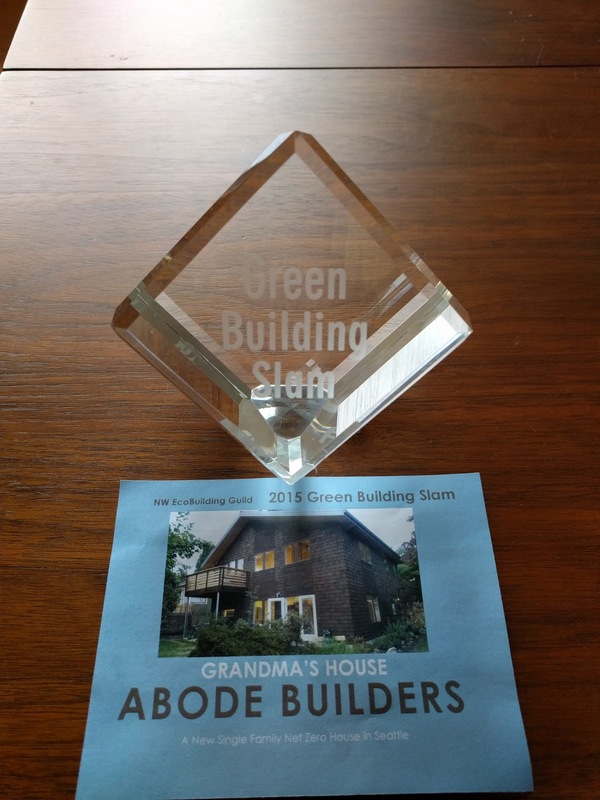 Thanks to the NW EcoBuilding Guild for recognizing our project. I can’t wait to build the next one!! Check out the DADU (mother in law) that is in the planning stages HERE.